Unshō Ishizuka (石塚 運昇, Ishizuka Unshō, May 16, 1951 – August 13, 2018) was a Japanese actor, voice actor, narrator and theatre director from Katsuyama, Fukui. He was affiliated with Aoni Production at the time of his death and was known for providing the voice of both the narrator and Professor Oak on the Japanese anime series Pokémon. In addition to that, he regularly appeared in both the Japanese and English-language versions of the Pokémon anime, voicing Onix, Steelix and numerous other Pokémon. Ishizuka was known for his deep, strong voice and is often cast in the role of older mature male characters, such as Jet Black from Cowboy Bebop, Eugene Gallardo from Tales of Rebirth and Captain Matthews in the Xenosaga trilogy. He was also the Japanese dub voice of Captain Gantu in every version of Lilo & Stitch to date. He was also the fourth Japanese voice of Heihachi Mishima in the Tekken video game series, and the second Japanese voice for Mr. Satan in the Dragon Ball franchise, taking over both roles since the death of longtime actor Daisuke Gōri. 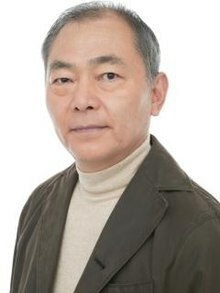 He has voiced the roles of Kizaru in the One Piece series, Van Hohenheim in the Fullmetal Alchemist: Brotherhood series, Zabuza Momochi in the Naruto series, and Joseph Joestar in JoJo's Bizarre Adventure: Stardust Crusaders and in JoJo's Bizarre Adventure: Diamond Is Unbreakable as well as Bunta Fujiwara in Initial D.
On August 17, 2018, it was reported that Ishizuka had died on August 13 due to esophageal cancer. ^ a b c "石塚　運昇｜日本タレント名鑑" (in Japanese). Nihon Tarento Meikan. Retrieved 17 August 2018. ^ "Voice Actor Unshō Ishizuka Passes Away at 67". Anime News Network. Retrieved 17 August 2018. ^ "故・石塚運昇さん、『ポケモン』新作映画出演でファン喜び「やり方が粋すぎて泣ける…」". Oricon. Retrieved March 1, 2019. ^ a b c d e f g h i j k l m n o p q r s t u v "Unsho Ishizuka - 335 Character Images | Behind The Voice Actors". behindthevoiceactors.com. Check mark indicates role has been confirmed using screenshots of closing credits and other reliable sources. ^ Harada, Katsuhiro [@Harada_TEKKEN] (December 24, 2010). "ヤング平八の声優さんは"石塚運昇さん"です！A new voice actor was used for the young Heihachi: UNSYO ISHIZUKA" (Tweet). Retrieved February 13, 2019 – via Twitter. ^ "Dead or Alive 5 Official Site". gamecity.ne.jp (in Japanese). Retrieved December 12, 2018. ^ Harada, Katsuhiro [@Harada_TEKKEN] (August 21, 2014). "Japanese voice actor = same. Others = probably same but some voice actor will change contract or quit job. (cont)" (Tweet). Retrieved February 13, 2019 – via Twitter. ^ "『鉄拳』シリーズ ｜登場作品｜PROJECT X ZONE｜バンダイナムコゲームス公式サイト". pxz.channel.or.jp (in Japanese). Retrieved December 12, 2018. ^ "三島平八 | CHARACTER | PROJECT X ZONE 2 -BRAVE NEW WORLD-". pxz2.bn-ent.net (in Japanese). Retrieved December 12, 2018. ^ "エイブラハム・ガドリン | CHARACTER ゴッドイーター3 | バンダイナムコエンターテインメント公式サイト". ge3.godeater.jp (in Japanese). Retrieved December 12, 2018. ^ "『デッド オア アライブ 6』ブラッド（声：石塚運昇）＆エリオット（声：皆川純子）が参戦決定！【先出し週刊ファミ通】" (in Japanese). Famitsu. December 12, 2018. Retrieved December 12, 2018. ^ "ライフワンダーズ公式 on Twitter". Twitter. Retrieved 2018-11-10. ^ "テッド2". Fukikaeru. Retrieved February 23, 2019. ^ "怪物はささやく". Star Channel. Retrieved February 23, 2019. ^ "隣人（１９９２）". Star Channel. Retrieved February 23, 2019. ^ "光の旅人　Ｋ－ＰＡＸ". Star Channel. Retrieved February 23, 2019. ^ "月に囚われた男". Star Channel. Retrieved February 23, 2019. ^ "ベイビー・ドライバー". Star Channel. Retrieved February 21, 2019. ^ "ヴェルサイユの宮廷庭師". Star Channel. Retrieved February 23, 2019. ^ "イヴの総て". Star Channel. Retrieved February 23, 2019. ^ "キャスト・アウェイ". Star Channel. Retrieved February 23, 2019. ^ "ランナウェイ／逃亡者". Star Channel. Retrieved February 23, 2019. ^ "陰謀のセオリー". Star Channel. Retrieved February 23, 2019. ^ "ダイ・ハード３". Star Channel. Retrieved February 23, 2019. ^ "ドム・ヘミングウェイ". Fox Japan. Retrieved March 4, 2019. ^ "パリの恋人". Star Channel. Retrieved February 23, 2019. ^ "ギャラクシー・クエスト". Star Channel. Retrieved February 23, 2019. ^ "ゴーン・ガール". Star Channel. Retrieved February 23, 2019. ^ "グリーンマイル". Star Channel. Retrieved February 23, 2019. ^ "ホット・ショット２". Star Channel. Retrieved February 23, 2019. ^ "モンタナの風に抱かれて". Star Channel. Retrieved February 23, 2019. ^ "ジャッジ・ドレッド（１９９５）". Star Channel. Retrieved February 23, 2019. ^ "００７　消されたライセンス（日曜洋画劇場版）". Fukikaeru. Retrieved February 23, 2019. ^ "崖っぷちの男". Star Channel. Retrieved February 23, 2019. ^ "【ファンが選んだ第１７位】００７／ムーンレイカー". Star Channel. Retrieved February 23, 2019. ^ "ニクソン". Star Channel. Retrieved February 23, 2019. ^ "悪霊喰". Star Channel. Retrieved February 23, 2019. ^ "ペイバック". Star Channel. Retrieved February 23, 2019. ^ "パーシー・ジャクソンとオリンポスの神々：魔の海". Fukikaeru. Retrieved February 23, 2019. ^ "プリンス・オブ・ペルシャ／時間の砂". Star Channel. Retrieved February 23, 2019. ^ "魔法使いの弟子[吹]". Star Channel. Retrieved March 13, 2019. ^ "サブウェイ１２３　激突". Star Channel. Retrieved February 23, 2019. ^ "１０人の泥棒たち". Fukikaeru. Retrieved February 23, 2019. ^ "タイタニック（１９９７）". Star Channel. Retrieved February 23, 2019. ^ "トッツィー". Star Channel. Retrieved February 23, 2019. ^ "君への誓い". Star Channel. Retrieved February 23, 2019. ^ "アメリカン・レポーター". Star Channel. Retrieved February 23, 2019. ^ "ウルヴァリン：Ｘ－ＭＥＮ ＺＥＲＯ". Star Channel. Retrieved February 23, 2019. ^ "ＳＩＮＧ／シング". Fukikaeru. Retrieved February 23, 2019. This page was last edited on 21 March 2019, at 09:34 (UTC).